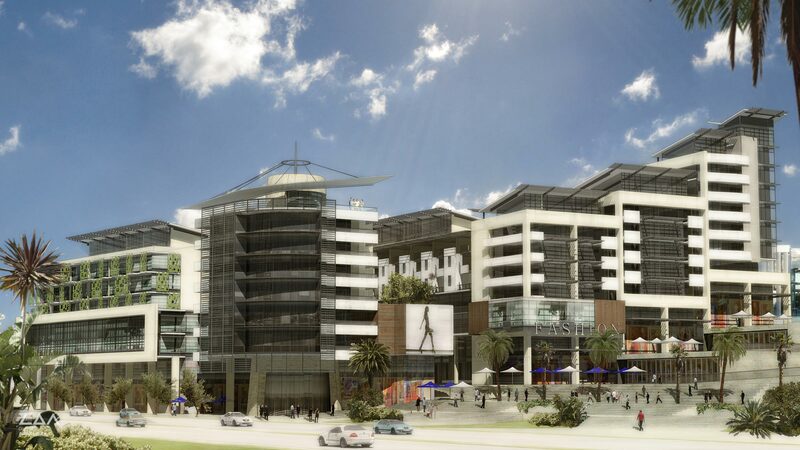 16_19 Ridgeside is a commercial and mixed use development cascading along a large public space linking the precinct in Umhlanga, KwaZulu Natal, South Africa. 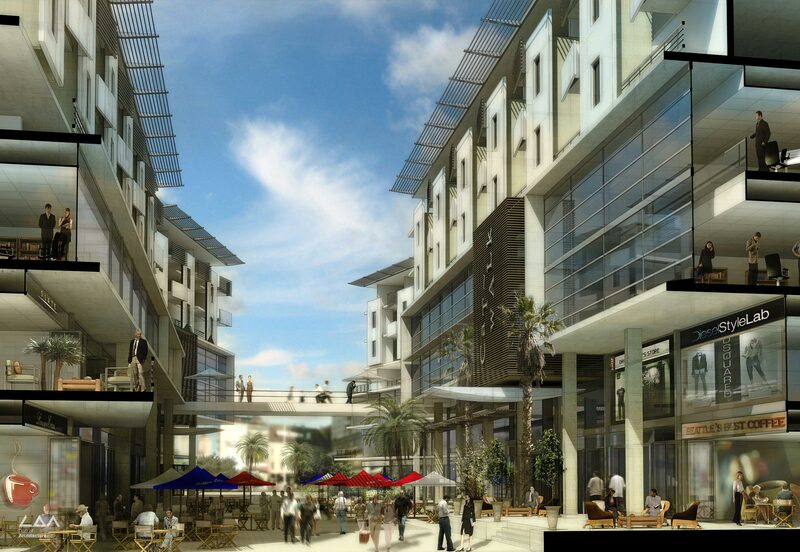 The development boasts several blocks forming courtyards. High streets make up the mix with ground floor retail with a strong focus on fashion. 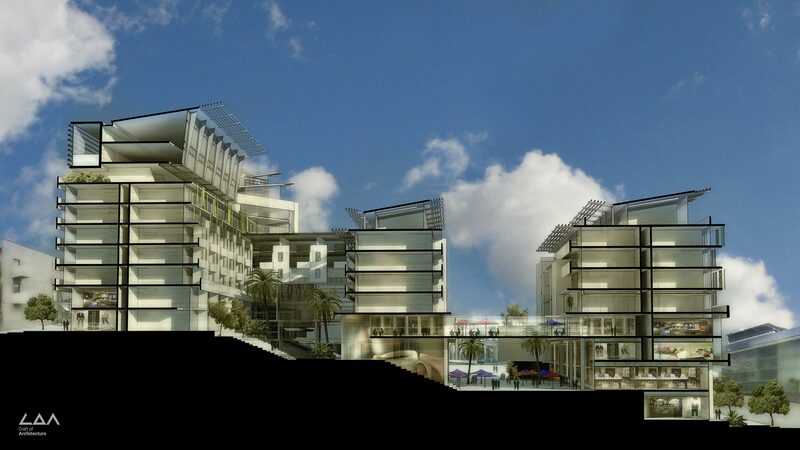 The mixed use upper floors are taken by offices and apartments with roof gardens and pools.